Time flies and so has Air Asia – for 14 years now. To celebrate, the airline ran a 14th year anniversary celebration at [email protected], their main hub, on 9th January 2016. 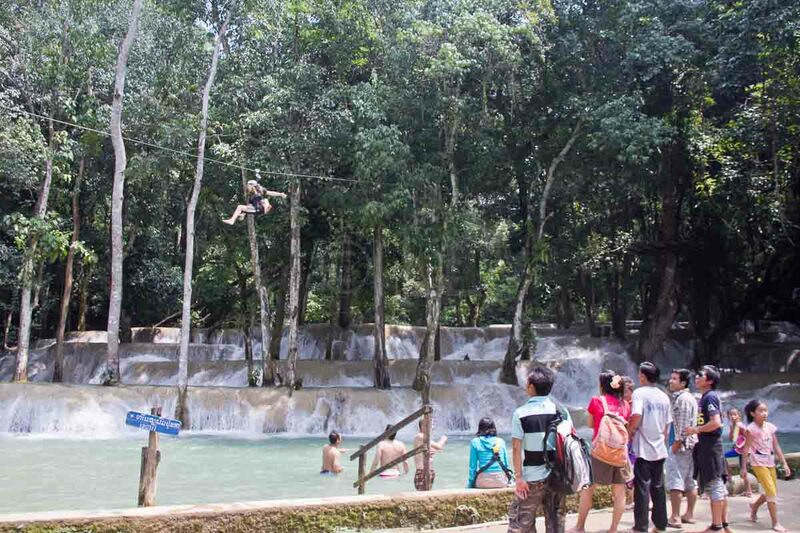 As part of the celebration, 14 contestants, selected from hopefuls who submitted their entries at the end of December, battled it out over a range of activities to win some pretty impressive prizes. 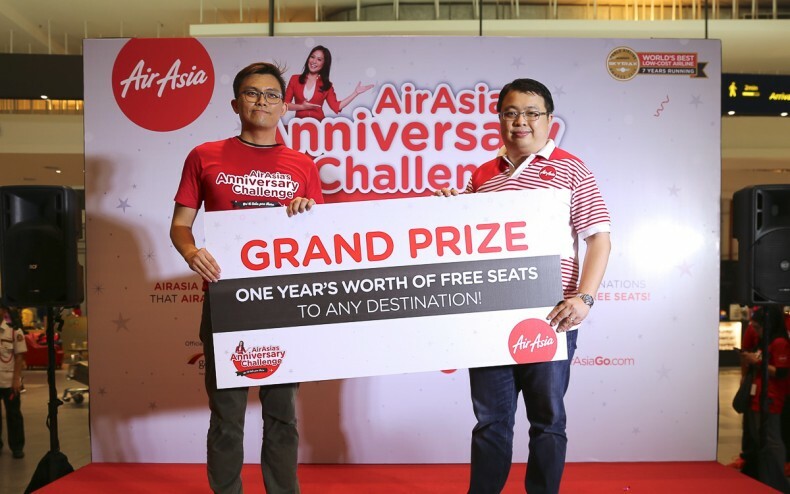 At the end of the day, Douglas Yip flew home to Alor Star with one year’s worth of free seats to any destinations operated by AirAsia and AirAsia X, one year’s Tune Protect Travel Insurance by AirAsia, 140,000 BIG Points, RM3,000 Lazada shopping cash voucher and also RM1,400 AirAsiaGo hotel cash voucher. 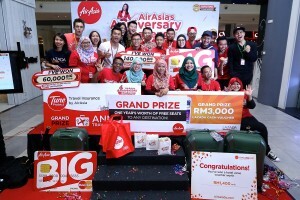 With the Year of the Monkey beginning in early February, AirAsia will be offering special surprises each week in the lead up to Chinese New Year including special fare offers, as well as AirAsia BIG Duty Free offers from USD$8, 888,888 AirAsia BIG Points giveaways and other surprises for flight tickets purchased by 15th February 2016. The AirAsia Anniversary Challenge was backed by MasterCard and Tune Protect, with support from AirAsia BIG Loyalty Programme, AirAsiaGo, Tune Hotels, Tune Talk and Lazada Malaysia.